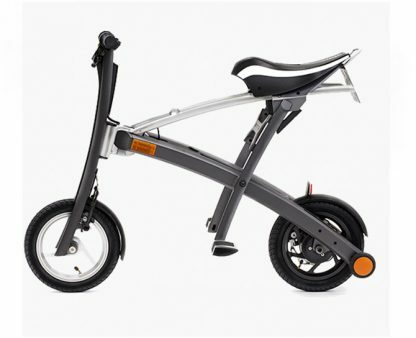 Speeds up to 25 km/h from the 250W hub motor & 36V Lithium-Ion battery. 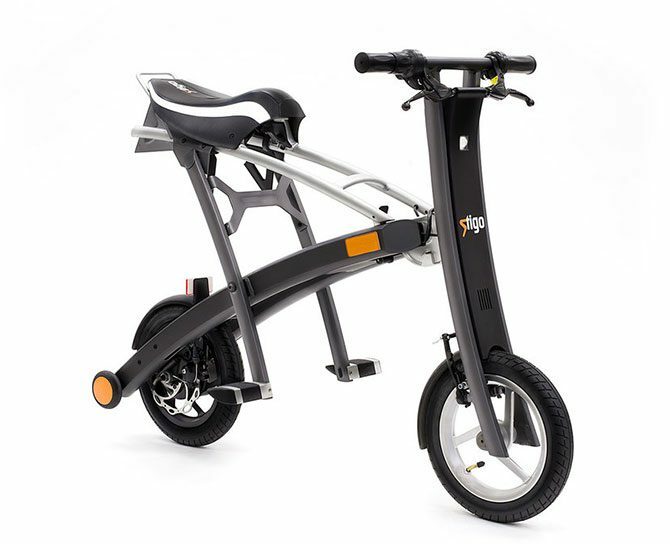 Stigo was developed in response to the need expressed by many urban commuters for an electric bicycle or scooter. However, there was always the problem of where to store the vehicle. 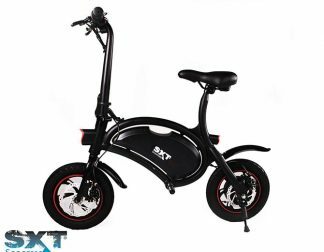 It is not that easy to take a bicycle into a city flat or find a place on the street to charge your electric scooter. The Stigo solution is really simple – it folds into a wheeled suitcase-type package you can bring along anywhere and charge from a regular outlet. (UK/EU Plug included) Widen Your Horizons • Speeds up to 25 km/h from the 250W hub motor & 36V Lithium-Ion battery. 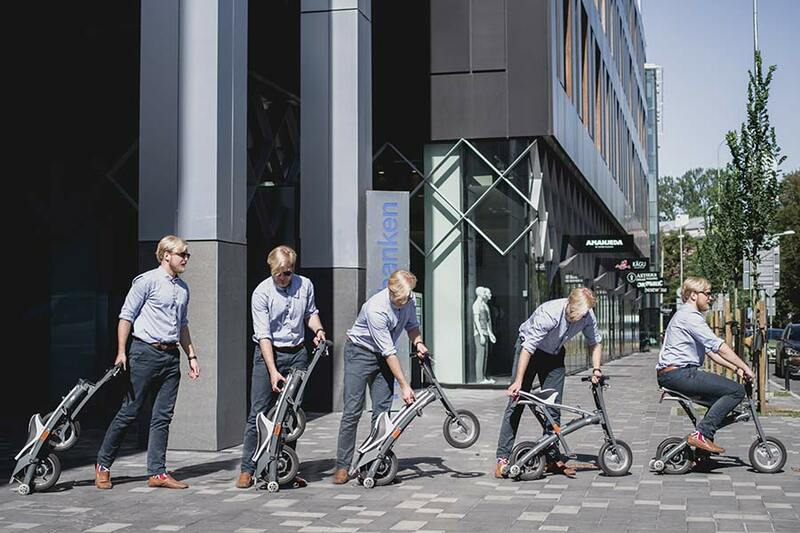 • Drives up to 30 km with a single charge • Doesn’t need parking space • Can be charged from a regular outlet • Weighs 14.1 kg Stigo is available in two options: Stigo (single battery) 10 miles / 15km range Stigo+ (twin batteries) 20 miles / 30km range Fast folding Stigo quickly folds into a slim suitcase-style design that can be rolled along on two rear wheels. It neatly stands upright within a small footprint allowing it to be taken on public transport. At work After your ride to the office, Stigo will go into the lift with you and stand next to your desk occupying very little space. At home If you live in a flat, take it with you!. Stigo will stand neatly inside your own home. Stigo Security Stigo is unlocked with a radio key. Touch the key under the digital display to unlock the scooter. 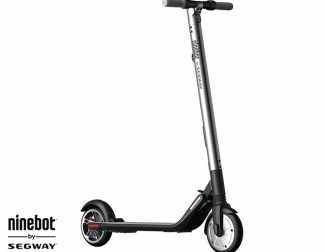 SPECIFICATIONS Motor: 250W Max speed: 25km/h Dimensions (L*W*H): Open (L*W*H): 1050*480*805mm Folded (L*W*H): 480*380*1180mm Battery: 36V lithium ion :: 3 hour for full charge Battery capacity: Stigo – 5.8Ah :: Stigo+ 11.6Ah Range: Stigo – up to 15km :: Stigo+ – up to 30km Brakes: V-brake front, disc brake rear Weight: 14.1 kg Max User Weight: 100kg Frame material: Aluminium Display type: LED Security with RFID card to start the scooter Lights: LED headlight, LED tail & brake light, LED license plate light Tyres: 12 1/2” E-marked tyres Certificates: EU L1e Type Approval Wheels: 9″ non-marking pneumatic STIGO FAQ’S IS THE HANDLEBAR OR THE SEAT ADJUSTABLE? 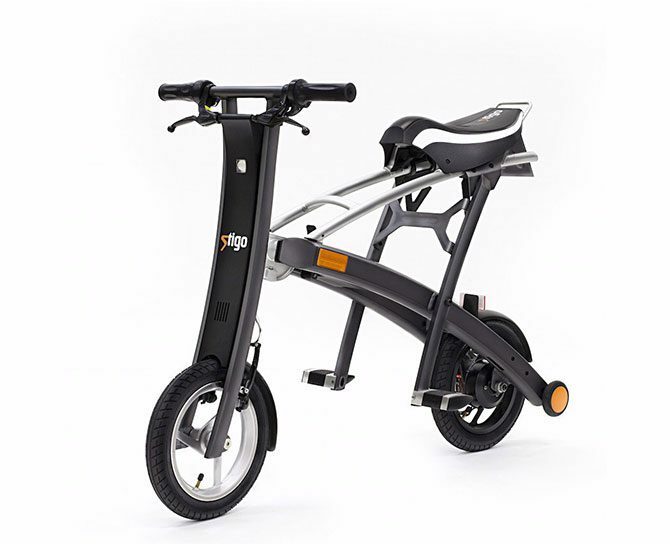 The design of the Stigo allows the rider’s weight to be distributed between three supporting points: arms, legs and upper body – this reduces stress to muscles and back. The Stigo riding position is designed to support the natural S-shaped spine, allowing for even distribution of body weight, so there is no need for adjustment in seat or handlebar height. DOES STIGO HAVE SUSPENSION? Due to the ergonomic seat and the inflatable tyres extra suspension is not needed. 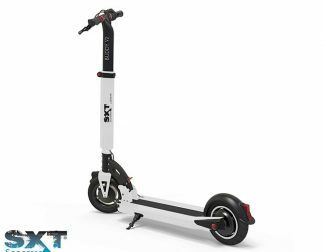 CAN I RIDE A STIGO ON PUBLIC ROADS? Yes, you can ride Stigo on public roads in all European countries. Stigo is a Class L1e street legal electric scooter. CAN I REGISTER A STIGO? If you intend using your Stigo on public highways, it will require registering with DVLA. Every Stigo comes with a COC certificate and we will give guidance on what is needed to get license plates and insurance. 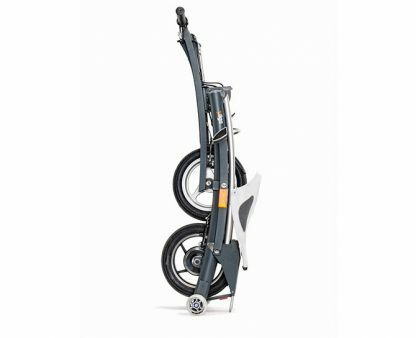 For detailed information, please see Electric Scooter FAQ below. Product Name: Stigo Bike Electric Scooter Product Brand: Stigo Product Description: Stigo was developed in response to the need expressed by many urban commuters for an electric bicycle or scooter. The Stigo solution is really simple – it folds into a wheeled suitcase-type package you can bring along anywhere. Product Image: https://personalelectrictransport.co.uk/wp-content/uploads/2017/06/stigo-bike-electric-scooter-in-UK.jpg Product Price: 1450 Price Currency: GBP Name Of The Seller: Personal Electric Transport Ltd.